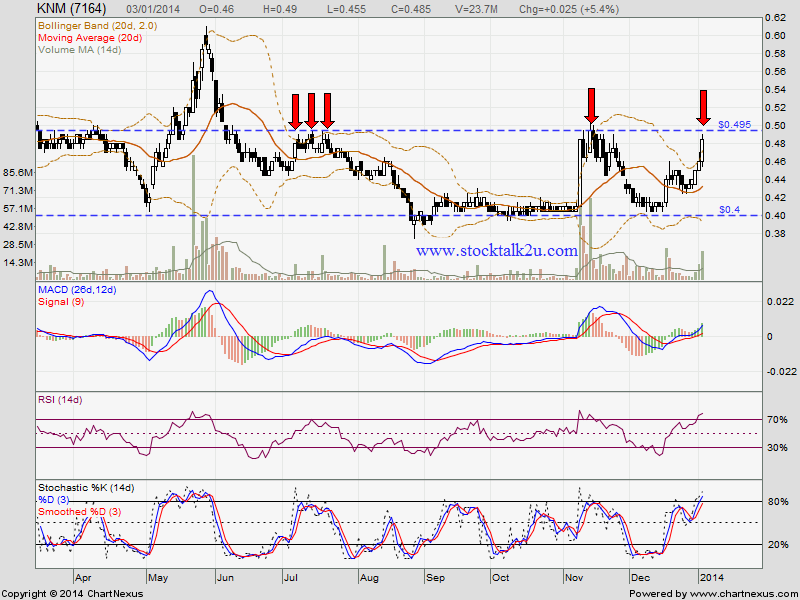 KNM retest RM0.495 resistance level. Immediate resistance @ RM0.495 level. 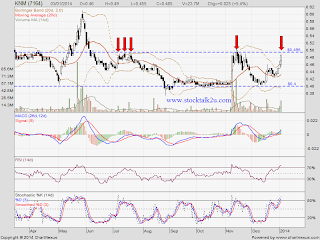 Subsequent resistance @ RM0.60 level. Once higher high & higher low is confirm, it will be uptrend.